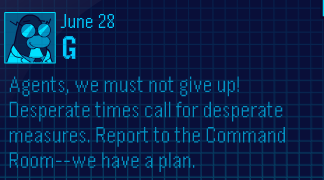 It says: "Agents, we must not give up! Desperate times call for desperate measures. Reports to the Command Room--we have a plan." Is Gary your favourite mascot? Leave a comment and let us know!